'An immensely talented young writer ... 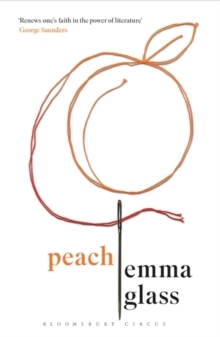 Her fearlessness renews one's faith in the power of literature' George Saunders, author of Lincoln in he Bardo, winner of the 2017 Man Booker PrizeSomething has happened to Peach. It hurts to walk but she staggers home to parents that don't seem to notice. They can't keep their hands off each other and, besides, they have a new infant, sweet and wobbly as a jelly baby. Peach must patch herself up alone so she can go to college and see her boyfriend, Green. But sleeping is hard when she is haunted by the gaping memory of a mouth, and working is hard when burning sausage fat fills her nostrils, and eating is impossible when her stomach is swollen tight as a drum. 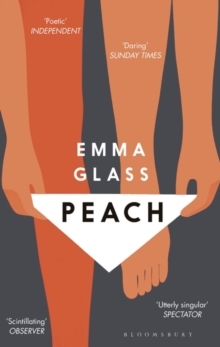 In this dazzling debut, Emma Glass articulates the unspeakable with breath-taking clarity and verve. 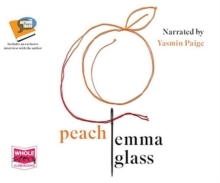 Intensely physical, with rhythmic, visceral prose, Peach marks the arrival of a visionary new voice.